Boston Springs A Fethival 2019 continues throughout the month of April and into May, and we’ll have info for all the various festivals and their schedules every day, so be sure to keep your browser turned to eCinemaBoston.com for all the latest info! Raised by a kindly peasant woman after being found as a baby, ten-year-old Remi is brutally taken from his adopted mother and sold by her husband to Signor Vitalis, an old travelling street musician with a shadowy past. Remi sets off on a long journey through France with his new master, their faithful dog Capi and mischievous monkey Mister Joli-Coeur. The screening starts at 6:30 PM, tickets can be purchased here. The $49 admission price includes the pre-screening red carpet arrivals and the post screening gala party as well. 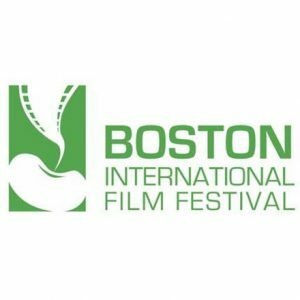 Boston International Film Festival will continue over the next several days with several sessions each day; most include a feature and a short or two; screenings are being held at a variety of locations in the metro area, including the Kendall Square Cinema in Cambridge, Cambridge College in Cambridge, and Bunker Hill Community College in Boston, plus one screening at Old South Church in Boston. Because the offbeat way films are scheduled at this festival – they do a mix of features and shorts in a series of programs – it makes it difficult to do day to day schedule listings for this fest, and you are urged to get complete information on the festival and all of its offerings this year by visiting the official website at http://www.bostoniff.org! You can view the entire schedule here! We’ll also be covering Boston International and the other NINE festivals and film series that happen in greater Boston between March 1 and May 1 every year coming up in late May on our two part “Boston Springs A Fethival” episodes of eCinemaOne‘s Subject:CINEMA podcast!